Being an officer is not a simple task, explains the Major, the hardships are plenty along the way and frequently anything of what happens is expected. 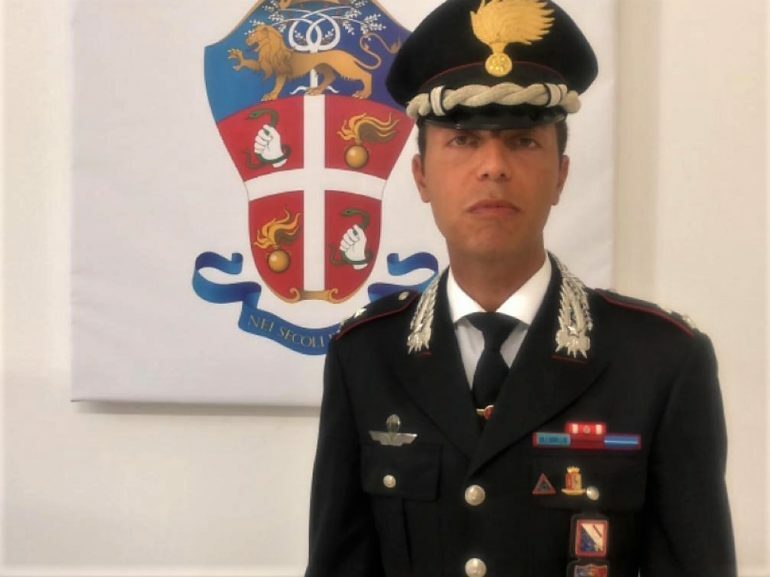 “Carabinieri officers are not immortal, nor heroes: they are simply citizens who decide to intervene to guarantee other citizens a peaceful livelihood and to safeguard the liberal institutions.” For Major Cinnirella, it felt natural to take this career choice as young student between his 15 and 18 years old, at the military school in Naples, Scuola Militare Nunziatella. I dare say that this career life chooses you, rather than you choosing it. The risks are extremely high and the pay unfortunately is not fair. For someone to work in such a field, he or she must have a true vocation to help others. “Your neighbours can be unwillingly witness of your violence. It is their duty to report the crime,” explained the Major. He is eager for the victims of violence, regardless of circumstances or gender, to report the crime as soon as possible and activate a warning. The point about apathy and reporting the crime sounds easier than what it seems. Although the Major developed a clear point that Italian officers are present on the field and know what to do, not all circumstances are the same. A woman could be reporting the crime and yet, she has then to return home afterwards to her abuser. This could put her in a difficult and in an unsafe position, especially once the report is being notified to the abuser. Such a simple example highlights that there is an extent to which Carabinieri can act. If many norms changes have occurred, some have not improved to save women from violence. Major Cinnirella does not agree with me when he says that, “…officers are provided by the government with the best condition to execute the work.” I think it only gives him honour that he wishes to demonstrate that passion for his job and justice, going beyond the institution itself. There are many concerns about how officers are treated and how the legal procedure facilitates their job; however, one must remember that it is to officers that we can say we’re protected. The uniform does not make a person, rather the person shapes the uniform. Major Cinnirella has largely contributed to saving women victims of violence and he has proven that he shaped the uniform for the seriousness and righteousness that it should represent.